For more than 10 years Toll Helicopters has provided safe and reliable helicopters services including emergency medical service, search and rescue operations, passenger transfer and logistics support often in remote and challenging locations. With extensive civil and military helicopter experience, the Toll Helicopters team has own over 6,000 hours, without accident or serious incident and high mission success, in remote and challenging conditions. These safe regional operations extend from the accident free helicopter logistics and aeromedical operations performed for the Australian Defence Force across Timor Leste from 2008-2013. More recently Toll has provided the AFP, the Solomon Islands Government and citizens valued helicopter services with medical evacuation, emergency response following natural disasters, search and rescue, and logistics support for outlying islands. In January 2017, Toll Helicopters commenced service for the communities of Southern NSW and ACT providing mission critical emergency helicopter rescue services. Across the 10-year Contract, Toll will operate a fleet of eight ‘best in class’ AW139 helicopters from four bases, the largest AW139 fleet operator in Australia. 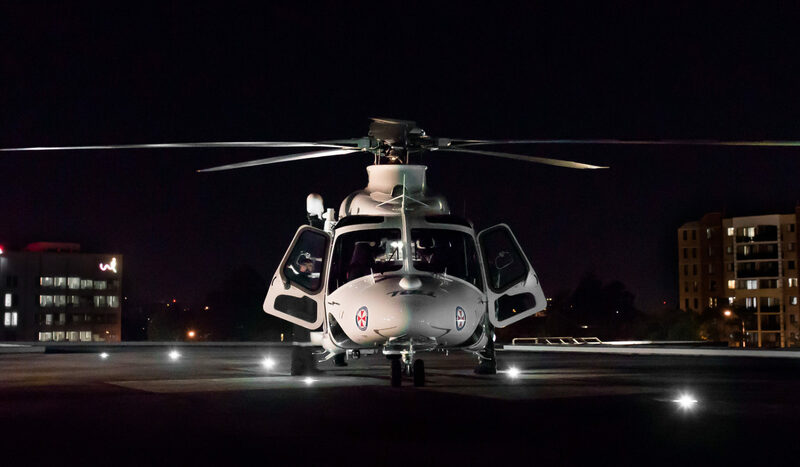 Headquartered in Australia, but operating across the globe, their integrated team includes pilots, aircrew, helicopter engineers, safety managers, trainers, and inventory and aviation management specialists who bring extensive civil and military helicopter experience as well as offshore, oil and gas operational experience. Toll also built and operates one of the most advanced aeromedical training centres in the world at Bankstown The training centre house’s the METS30, recognised as one of the best underwater escape training technologies in the world, and is equipped with multiple environmental systems and simulators, such as wind and wave generators, to create highly realistic training scenarios. Airport, Sydney. 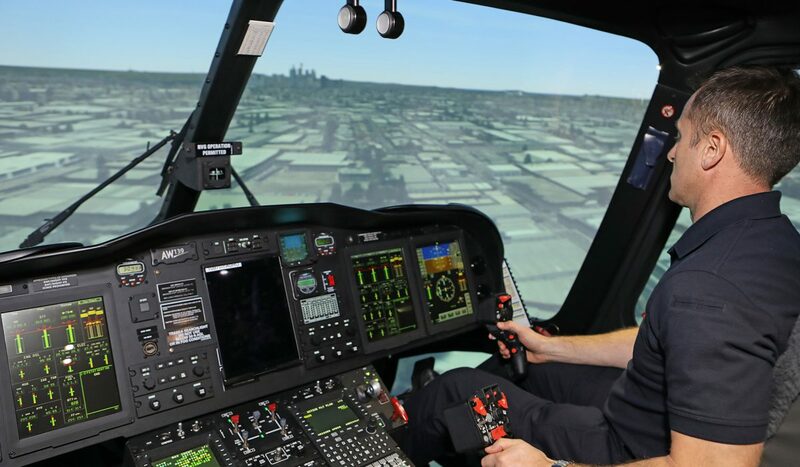 The Aeromedical Crewing Excellence (ACE) Training Centre opened in October 2016 and is the Authorised Training Centre for the Australia’s rst AW139 Level D Full Flight Motion Simulator. With CASA Part 142 approval, it offers Pilot AW139 zero flight time Type Rating and currency training with its FFS. The facility also includes the latest high fidelity virtual reality integrated crew training simulator, winch simulator and a full sea state 3 Helicopter Underwater Escape Training (HUET) theatre, positioning itself as the most advanced training centre internationally providing totally integrated technical and non-technical training. No one helicopter mission is ever the same, search and rescue missions and patient retrieval missions are complex and challenging, so aircrew expertise and teamwork are central to safe helicopter flying and mission success. The ACE Training Centre will allow aircrews to rehearse high risk drills under safe, highly realistic and simulated conditions to ensure crews are ready to safely complete these tasks in real-life scenarios. The training is also articulated around innovative ‘human factors’ (non-technical) modules to focus on human decision making processes and teamwork that are critical to safe and successful missions. Toll Helicopters holds Registered Training Organisation status, enabling the group to formalise its training under the Australian Vocational Education and Training (VET) Quality Framework. 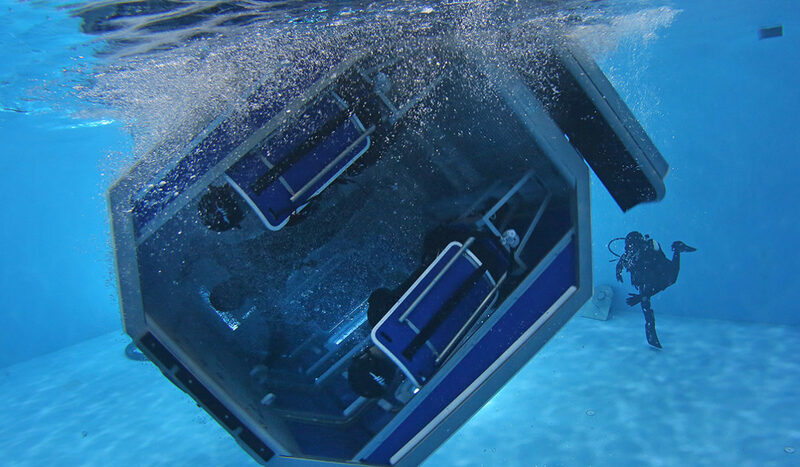 Initial courses include using the highly advanced HUET facility offering environmental simulation to deliver training for all crews to equip them to survive a ditching or emergency situation. Future programs will include aviation, aeromedical and airborne law enforcement centric courses.